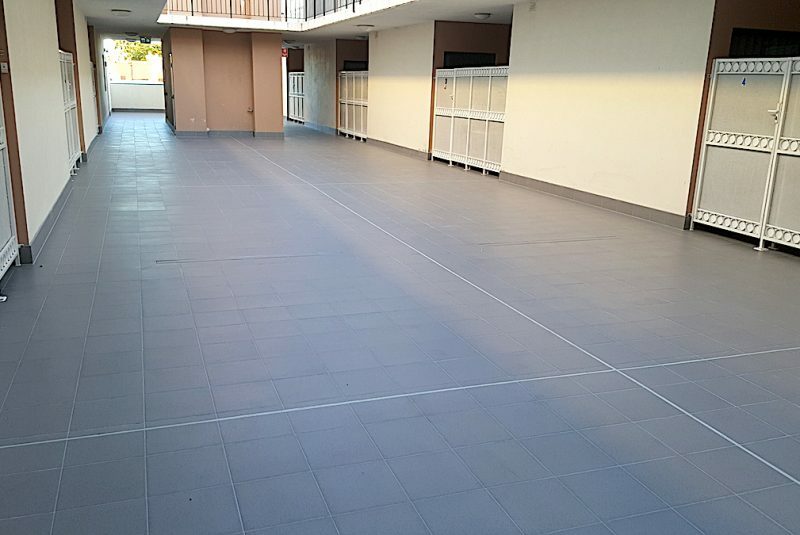 If you are looking for a professional, reliable Tile and Grout Cleaning company in Perth, Infinity Floor Restoration is the obvious option. For over 15 years, our experienced and BICS certified team of technicians, have been bringing life back into the dullest and dirtiest tiled floors, using the latest eco-friendly products, coupled with start-of-the-art machinery. If your tiled floor needs to be resurrected, call one us now and we’ll send one of our experts straight to your home to start the restoration process. Are your current floor tiles looking dull and old? Is the grout discoloured? Our tile and grout cleaning experts have the experience, latest cleaning products, state-of-the-art machinery and the know how to bring your floor tiles and grout back to its previous state of complete cleanliness. Our team of highly qualified tile and grout cleaning experts have over 15 years of floor tile cleaning experience. All of our experienced technicians are BICS certified. Infinity Floor Restoration has the skills you need to ensure the longevity of your flooring. Tile and grout damage often go more in-depth than meets the eye—bring in Perth’s best tile and grout cleaners for your next job! The quality of our tile and grout service will astound you. You will be graciously surprised with the final clean, and the look of your tiled floors and grout – they will almost look brand new! Here at Infinity Flooring, we employ a step-by-step process with extreme attention to detail, when we clean your floor tiles and grout. To restore your tile and grout to its previous glory, our step-by-step tile and grout cleaning process covers every aspect of restoration. Let’s explore it in more detail below. Before we start the tile and grout restoration process, we’ll send an expert to your home to assess the damage and create an effective plan for restoring your tile and grout. Feel free to ask our staff member as many questions you may have. Once we start the tile and grout cleaning process, we’ll apply a professional alkaline-based cleaning solution – it sits on your tile and grout to destroy grease, build-up, dirt, and other particles. We only use products which are eco-friendly and are 100% child and pet-friendly. Steam is effective, clean and environmentally friendly. We will use this method to loosen all embedded dirt to ensure complete cleaning of your tiles and grout. If necessary, we will also power scrub your tile and grout with specialised brushes. We’ll ensure all areas of the floor are equally clean. We’ll pressure wash and rinse your floor tiles and grout using hot water. All waste and contaminants are contained and removed during this process. Once the entire cleaning process is concluded, we’ll speed dry your tile and grout. We will not leave your premises until your floor is completely dry. Your floor is now usable again!